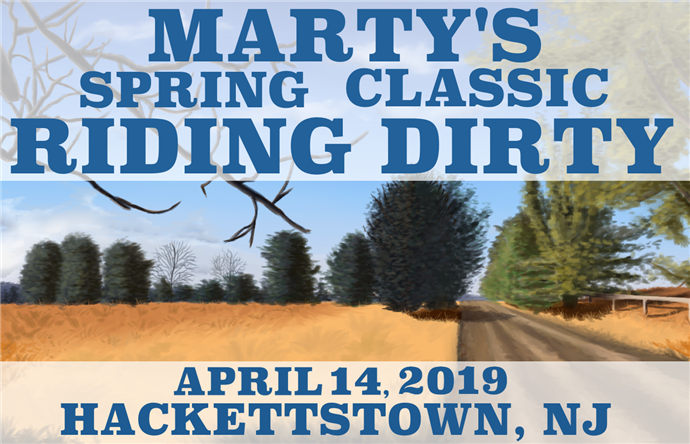 75 or 40 miles of NJ Dirt, Gravel and Backroads! Riding Dirty can be the perfect start to your season, the enabler on that gravel addiction, or your new personal record. Any way you want it you will find yourself on some of the best roads northern NJ has to offer. Riding Dirty features quiet farm roads, scenic climbs, rail trails, and many sections of dirt that will take you through incredibly beautiful countryside. Whether you choose to ride 40 miles or conquer the 75 you are sure to find a day filled with dirt, sweat, and smiles…oh and let’s not forget the cold beer at the end! That’s right…we said cold beer. Everyone that signs up for Riding Dirty will have a cold beer and a fresh meal from Silver Birch Kitchen waiting for them at Czig Meister’s in Hackettstown. We will be riding on paved roads with sections of gravel, dirt, and rail trail, with some unpaved climbs and descents. A road or gravel bike with tires that are at least 28c will be the best tool for the job. The course will be lightly marked and downloading the Ride with GPS file is strongly encouraged. All roads will be open to regular car traffic as well but we promise to take you to some backroads that will make you question if you are even in New Jersey anymore! Both the 40 and 75 mile routes will find their half way point at The Coffee Potter in Long Valley as well. We will have Skratch Labs drink mix as well as food and water. Every rider will even get a free small coffee or double espresso to fuel them up for the return trip!